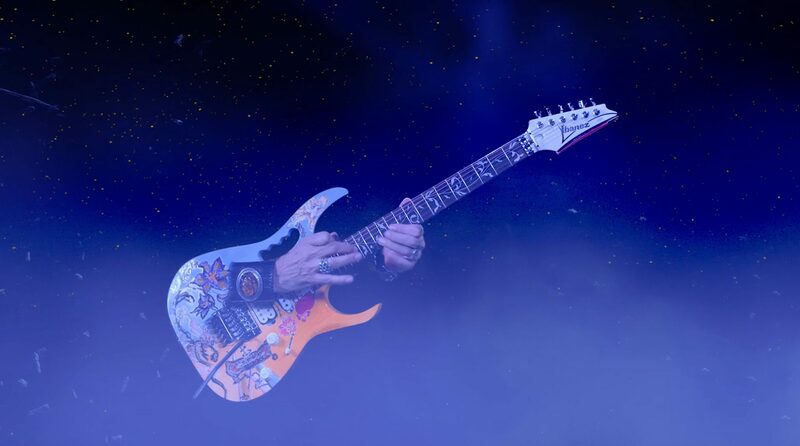 Steve Vai has released a music video for “Dark Matter” via his Official YouTube Channel SteveVaiHimself today. View the video here: https://youtu.be/4aINCu8CoTA Vai teamed with Blackmagic Design, Moai Films and director Lukas Colombo on the video, with Moai Films producing. “Dark Matter” is one of the songs from Modern Primitive, a collection of previously unreleased material delivered in tandem with Passion and Warfare 25th Anniversary Edition by Sony Music Entertainment and Legacy Recordings. “The Generation Axe show is a unique performance of five fiercely talented guitar players coming together to create a 6-string extravaganza that is sure to amaze and delight,” Vai said.